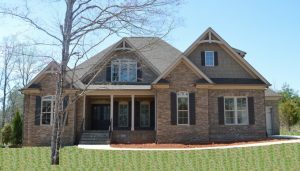 What comes after home builders finish your custom home in Greensboro? What Comes AFTER Custom Home Builders Finish Your House? It is exciting to move into a brand new house, especially one that was completed to your specific requirements. After pouring over all the choices and deciding on the smallest of details, as well as the big picture, you now get to experience the joy of waking up in it every morning. But wait! Just as you depended on the knowledge and experience of a custom home builder in Greensboro during the building process, you will also benefit greatly from the information available to you in reference to maintaining your new house. Here are some areas where you will want to make sure you know everything necessary to prevent costly mistakes. It is always wise to be prepared for emergencies. A quality home builder will locate the circuit breaker panel for you and ensure all the switches are labeled clearly and accurately. It’s also important to know where your various meters are located, as well as emergency equipment such as the fire extinguisher and the water shut off valve. Your kitchen appliances, heating and cooling systems, and many more items in your new house will come with warranties. Even some types of flooring and fixtures will be covered. Many will be included within miscellaneous information packets, but it may be best to separate the warranties from these and keep them all together. You may need to sort through the instruction packets on occasion, so keeping all your warranty information together in a separate location will decrease the likelihood of it being misplaced. You may never need most of them, but knowing exactly where they are will save you time and stress if you ever do. Since your home builders will likely have taken delivery on these items, they may be the ones who were given the warranty information. The information packets mentioned above will often contain instructions. Whether a full pamphlet or just one page, it is vital that you keep these where you can easily reference them. However, home builders in Greensboro NC will be happy to walk you through all the instructions for using unfamiliar systems. Whether it is entering a new code for the burglar alarm, regulating the solar heating, caring for your beautiful wood floors or just using your new energy efficient washer and dryer, they can show you the ropes and answer any questions you might have. You don’t even need to wait until you move in. You will be visiting your house as it is being built, so you can just make notes at each visit and schedule a meeting to go through any questions on a regular basis. In any case, custom home builders can offer a great deal of invaluable help even once your house is complete. R & K Custom Homes strive for 100% customer satisfaction. Call (336) 643-3503 to get started building the house of your dreams. https://www.randkcustomhomes.net/wp-content/uploads/2016/08/logo.png 0 0 Megan Boyd https://www.randkcustomhomes.net/wp-content/uploads/2016/08/logo.png Megan Boyd2016-08-08 20:11:522017-02-06 20:19:58What Comes AFTER Custom Home Builders Finish Your House?